A non-conspicuous Korean family restaurant. No obvious signage but a wooden door. A restaurant that you might have just walked past, dismissed and not venture in. Especially true if you could not view what the interior looked like. Then you might have missed this hidden gem. Ho Rang I at Goldhill Centre Novena is ‘hidden’ along the shophouses where Udders Ice Cream is located. The entrance is facing the multi-storey carpark, with no big and clear signage. I say, make your way in. 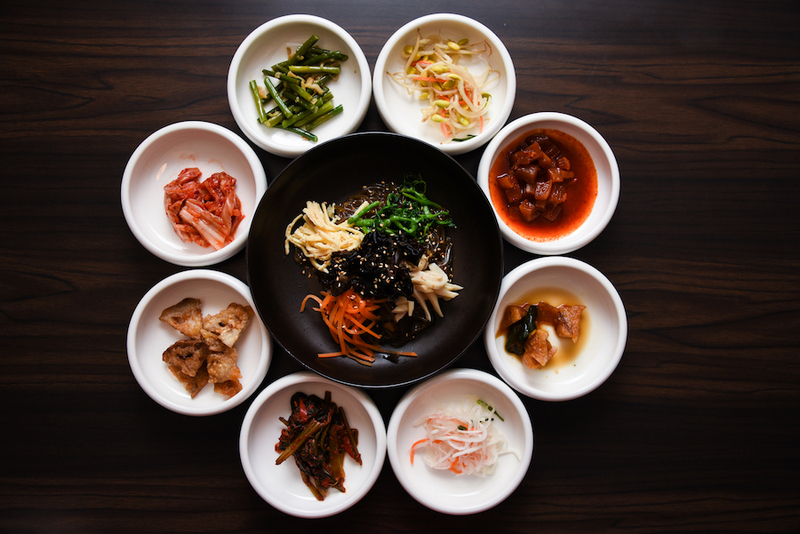 Ho Rang I eluded a nostalgic traditional Korean touch, served by an ajumma. Chit-chat with her, and she might whip out a home-brewed drink for you. 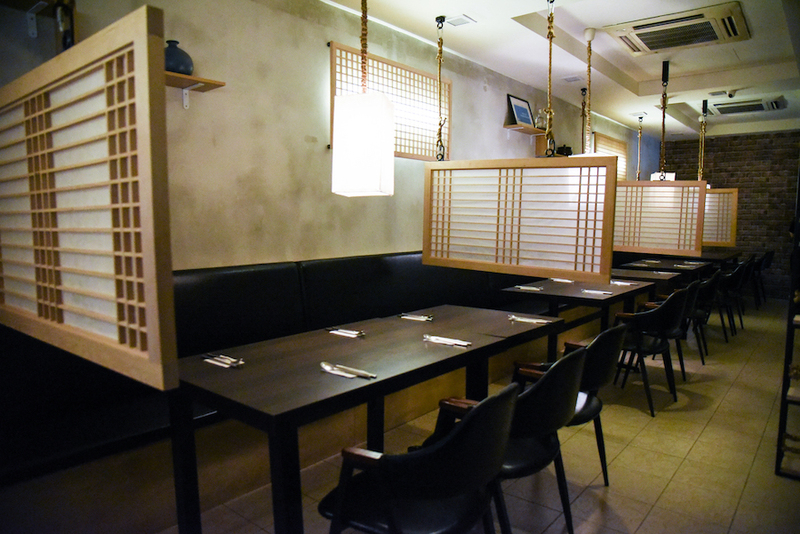 Inside, the interior was dimly lit, each table partitioned by a paper blind that was commonly seen in traditional Korean palace drama. 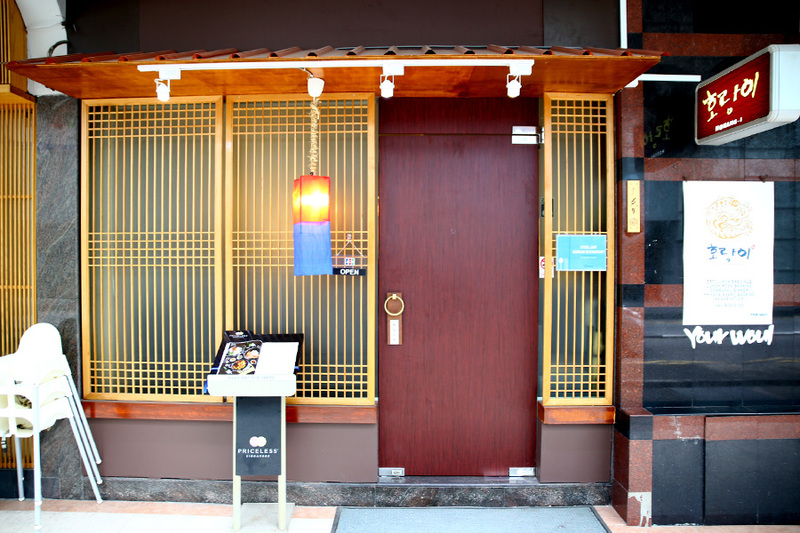 The 30-seater restaurant was different from other Korean restaurants visited in Singapore, with a cosy and homely feel. 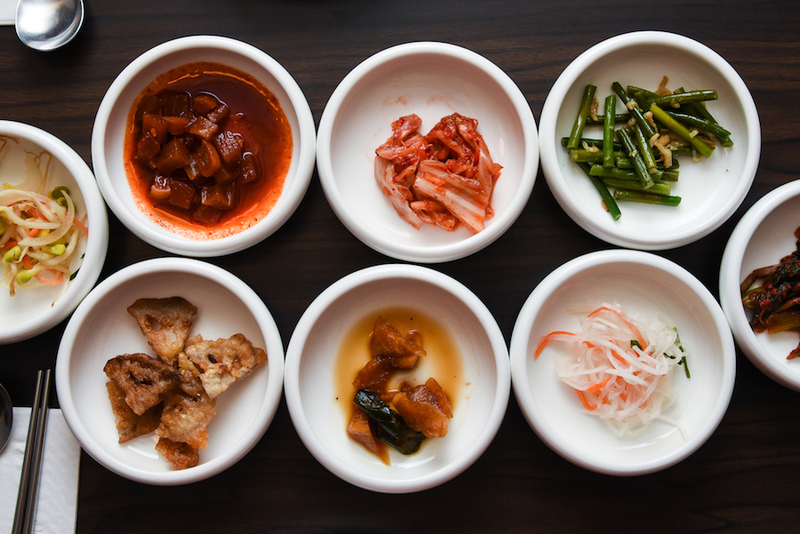 6 or 8 different Banchan (appeitizers) were complimentary and served prior to the meal. Unfortunately, only with one refill. I wished that there was more, as many of the home-made items from kimchi to spicy beancurd were appetizing and comforting. 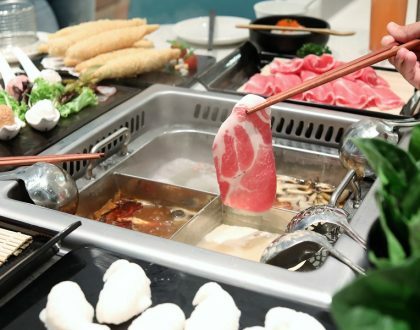 Unlike the usual Korean BBQ and Bingsu restaurants we commonly see in Singapore, Ho Rang I offers a wide variety of home-style Korean dishes. 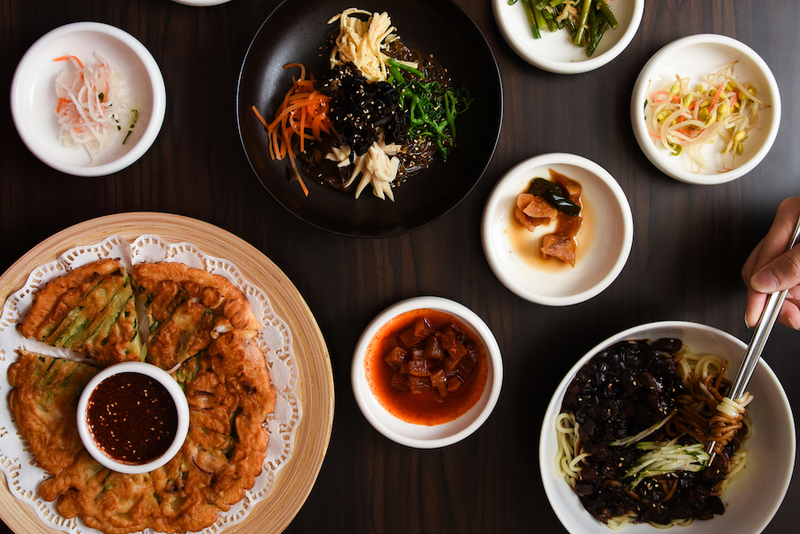 Think Jap Chae ($18), Seafood/ Kimchi Pancakes ($22/$20), Korean Fried Chicken ($29-52), Noodles ($13-16), Bibimbap ($15-22), Stews ($42-62) to Grills ($25 – $38). My favourite was the vegetarian-friendly Jap Chae ($18), made using sweet potato glass noodles with various vegetables. The glass noodles were springy and lightly tossed in sesame oil with a peppery punch, tasted much like our local “tang hoon”. 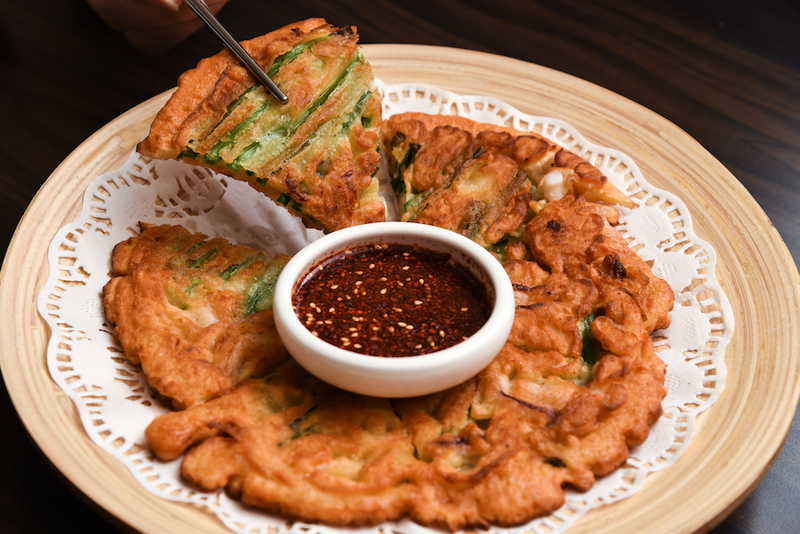 Their Haemul Pancake aka Seafood Pancake ($20) was worth a mention. 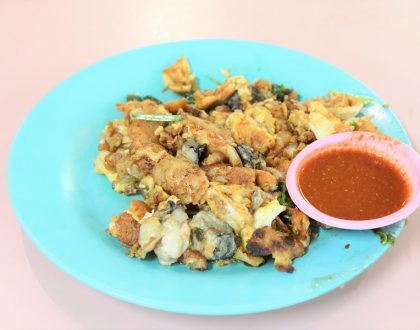 Fried to a golden-brown crisp with seafood aroma in each bite, the texture of the pancake was firm and not starchy. Each slice was generously filled with spring onion and sotong, went well with spicy dip. 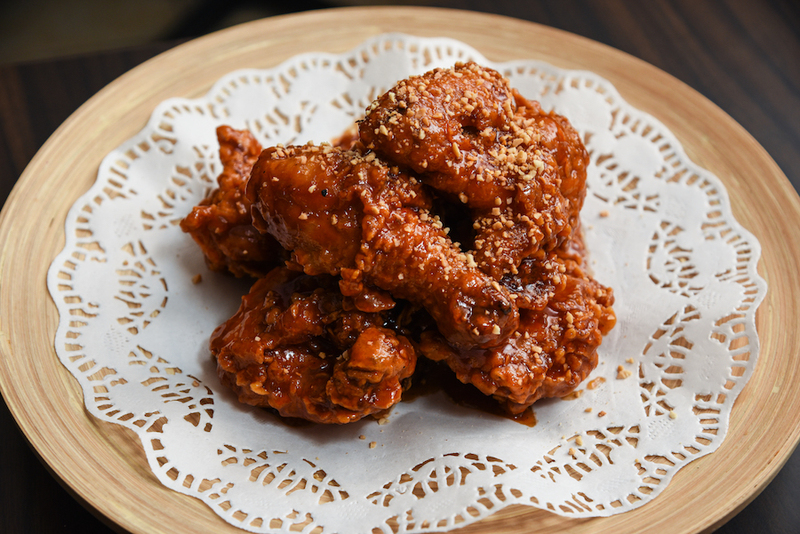 Their Korean Fried Chicken was freshly sourced locally and came in 3 different flavours – Original, Spicy and Soy. Available in 2 sizes, Half ($29-30) or Whole ($50-52), the price was steeper than other Korean Fried Chicken restaurants out there. While I appreciated the crispy and crunchy chicken skin, tossed with spicy Gochujang sauce and crushed peanuts for additional crunch, there was little differentiating factor with the average Korean Fried Chicken restaurant out there. 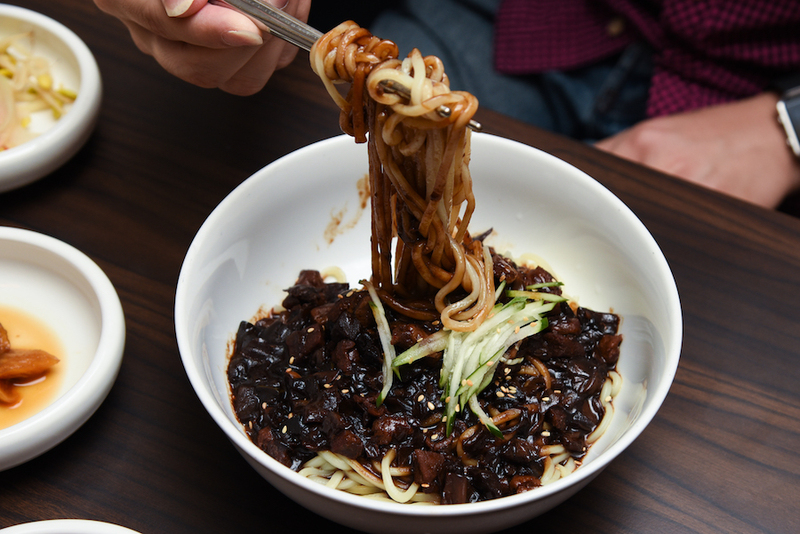 I was excited to see Jja Jang Myeon ($15) here after getting our craving satisfied at O.BBa Jjajang. Sadly, the taste of the black bean paste was overwhelming, and wasn’t as satisfying. 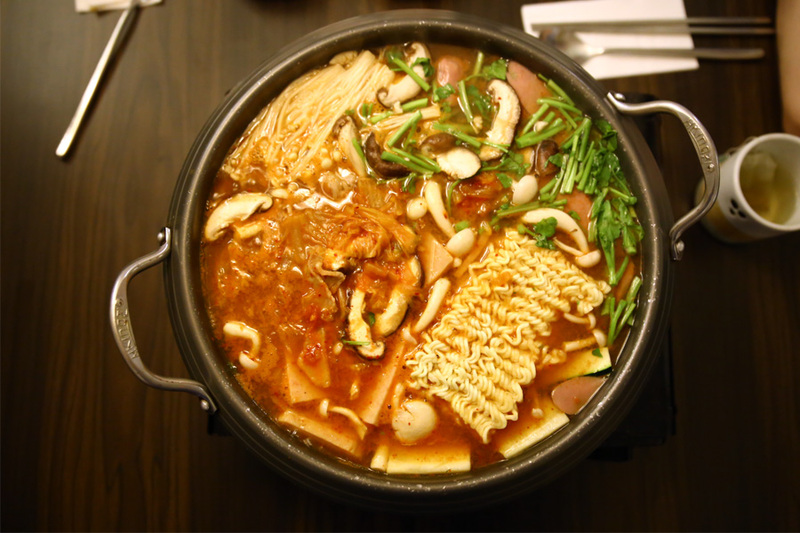 I have been asked quite frequently where to find good Budaejjigae. The Korean Army Stew ($42) at Ho Rang I, though priced at Captain’s rather than Corporal pricing, was worth the order. Somehow there wasn’t the usual ‘manufactured’ commercial taste, and the base soup had a fine balance between thick and thin, sumptuously cooked till you would have no problems wanting more bowls. My carb-loving always-hungry friend liked the Ramyeon and ordered more. ”Huh? Instant noodles for $5” Complained but still said it was nice lah. * Written by Nicholas Tan @stormscape who loves all things [NEW]. Further input from Daniel Ang @DanielFoodDiary. 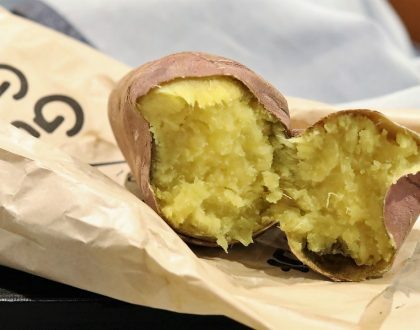 Daniel’s Food Diary pays for food reviewed unless otherwise stated.